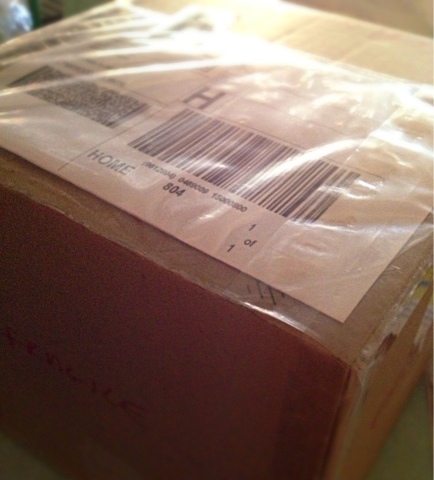 I was thrilled when the package arrived from Denver! 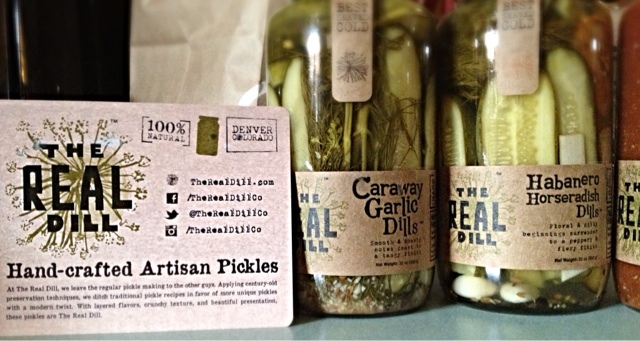 Inside we're 3 jars of some delicious sounding gherkin treats., including Caraway Dill, Honey Jalapeño, and Habenero pickles. In addition to this there was a jar of........Bloody Mary Mix, based off of the brine of the Habenero Pickles, YUM!!!! 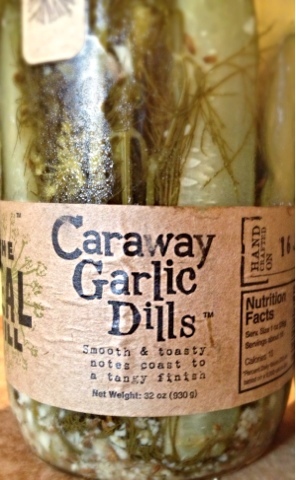 Caraway Dill-crunchy dilliness, with something there. At first you can't put your finger on it, but then you realize its the caraway. On second taste, you totally get a rye flavor. Quite honestly a perfect pickle. Reminds me of homemade. 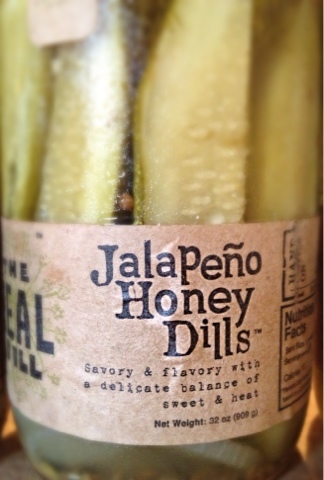 Jalapeño Honey Dill-as most of you know, I'm not a lover of heat. In food, or weather. So tasting this one was a bit of a sweater for me. At first taste, it wasn't very hot, more sweet, Hence the honey part of the jalapeño honey. This is a meaty pickle. It will hold its own at a family reunion BBQ. Yet simply crunchy sweet deliciousness. 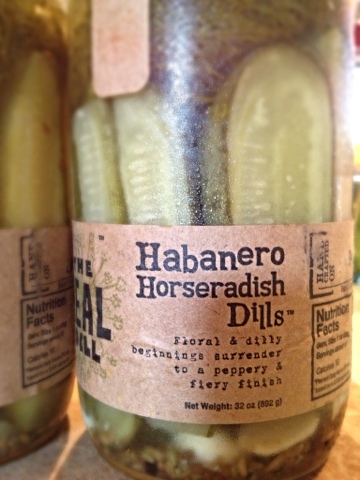 Habanero Horseradish Dill-now here's my deal breaker. As said before, I don't like heat. But for the sake of research, I will try this imposing threat. Well, after my third spear, I realize that this is the side of heat someone like me can enjoy. And food is meant to enjoy, right? Wait...ok, there's the heat. But not too bad. Rounding out the third in their line up of pickles, this one is the best yet. *disclaimer on heat, while I don't like heat, horseradish is a different story. I love me some horseradish heat. Overall, I found that these pickles are.....simply......amazing. Locate them, or buy them on line, you won't go wrong with tasty little treats. 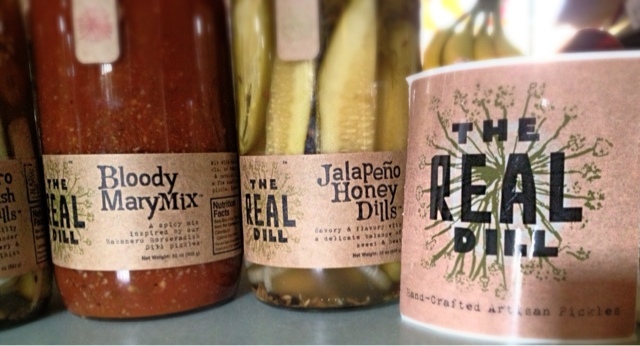 Oh and stay tuned for a guest post of the Bloody Mary Mix.